1,743 sq ft; lot: 13809 sq ft - MLS# 2248842 Courtesy of Hrw Realty Corp. 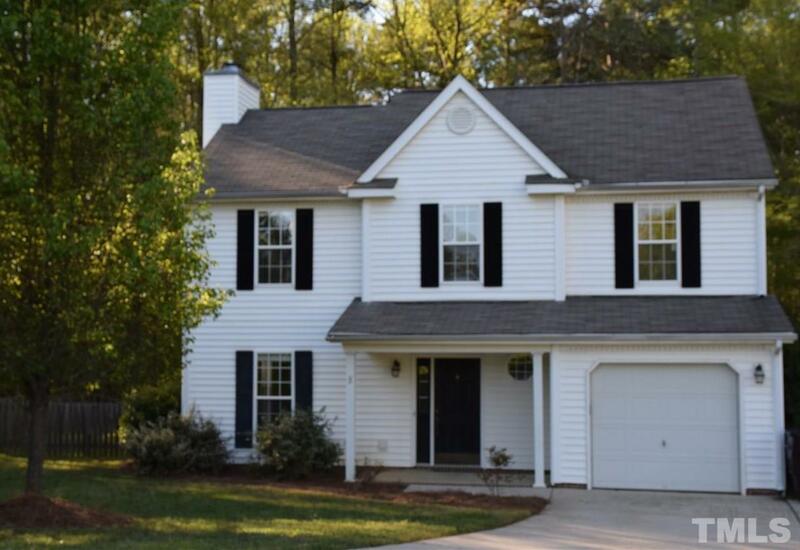 Welcome home to this light and bright home on incredible cul-de-sac lot w/ almost 1/3 of an acre. Gaze out the sliding glass door onto mostly fenced rear yard which backs up to wooded view for added privacy. Spacious living room w/ gas log fireplace & engineered hardwoods throughout 1st flr opens to dining area. Stainless appliances in kitchen + plenty of cabinet and counter space are perfect for entertaining. Huge master suite boasts large walk-in closet, garden tub/separate shower. Only 10 min to Duke!